Michael Corris is an artist and writer on art whose work is most closely identified with the critical practices and attitudes of Conceptual art. 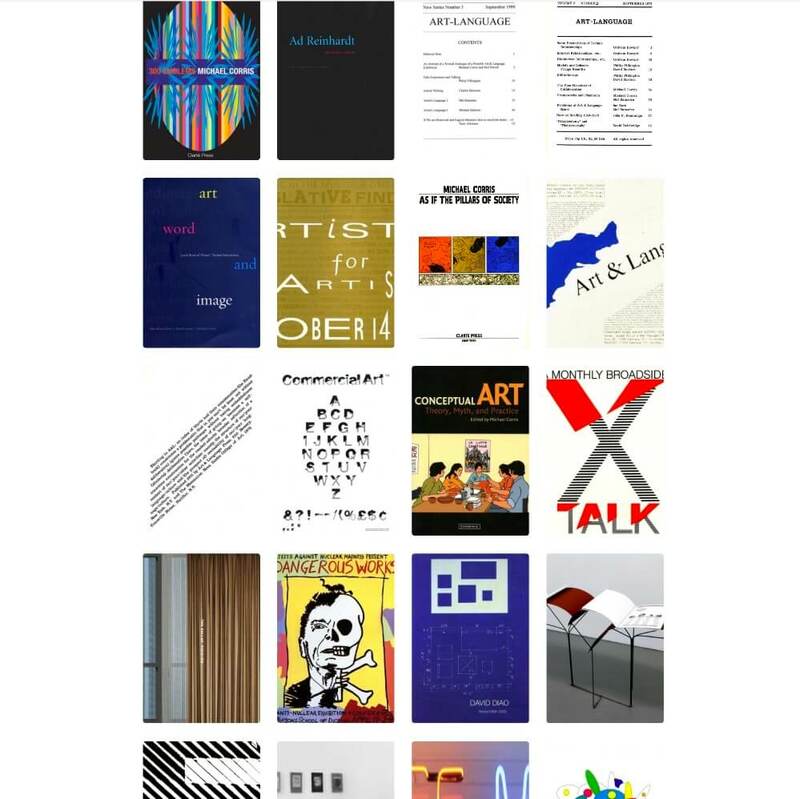 As a participant in the collective Art & Language in New York (1972-76), Corris exhibited and published internationally, was a founding editor of The Fox, engaged in the organization of artists, and contributed to the debate surrounding the conjunction of avant-garde art and political activism. Such issues and contingent practices — once contentious and divisive of the art world — have coalesced since the mid-1980s to form stable and manageable forms of art and social engagement. These attitudes and practices are familiar to us as “institutional critique,” “interventionist art” and “art & social practice,” among other terms. For Corris, these practices continue to function as cultural formations open to critical inquiry and productive destabilization. Corris’s practice as an artist exemplifies versatility. His art utilizes a variety of discursive platforms — public exhibitions, essay writing, exhibition organizing, and historical research — that are essentially situational, self-managed and generated by collaborative and conversational encounters that take place within and outside the art world. Corris holds a Ph.D. in History of Art, University College London; M.F.A. Painting/Media, MICA, Baltimore; B.A. Art with Honors, Brooklyn College/City University of New York. He is Professor of Art, Criticism and Foundations, at the Meadows School of the Arts, Southern Methodist University, Dallas. His work may be found in public and private collections internationally, including the MoMA, Le Consortium Dijon, Victoria and Albert Museum, Tate Britain, and the Getty Research Institute. Corris’s writings on modern and contemporary art have been published widely in academic journals and the art media —Art-Language Journal, Art in America, Art Monthly, Artforum, Art Journal, Art History, art+text — and have been anthologized in Alex Alberro and Blake Stimson (eds.) Conceptual Art: A Critical Anthology (MIT Press, 1999). Recent publications include Leaving Skull City: Selected Writings on Art (Les Presses du Réel, 2016), Conceptual Art: Theory, Myth and Practice (Cambridge University Press, 2004), Ad Reinhardt (Reaktion Books, London, 2008), Non-Relational Aesthetics (with Charlie Gere; London, 2008), Art, Word & Image: 2,000 Years of Textual/Visual Interaction (with John Dixon Hunt and David Lomas; Reaktion Books, London, 2010) among many others. Corris is series editor for Art Since the ’80s (Reaktion Books, London) and has served as reviews editor for Art Journal (2013-16, College Art Association, New York). Daniel Garver is originally from Madison Wi, and holds a Bachelor of Fine Arts from the University of Wisconsin-Milwaukee. As an undergraduate, Garver majored in studio ceramics and minored in art history. A two-year Penland School of Crafts Fellowship shifted his practice to focus on drawing and textiles. 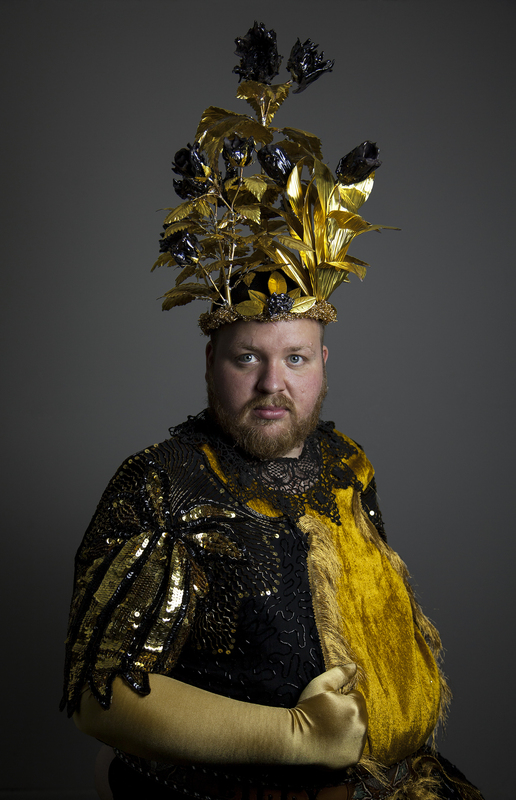 His residencies include A-Z West, The Bright Angle, and the Jentel Foundation. Garver most recently relocated to Houston for a six-month residency at the Houston Center for Contemporary Craft. San Antonio’s Brown artist community —including any and all who identify as Hispanic, Latinx, Chicanx, Mexican-American, Native American, Indigenous, Afro-Latinx, or have a kinship with such terms— are invited to Retreat. 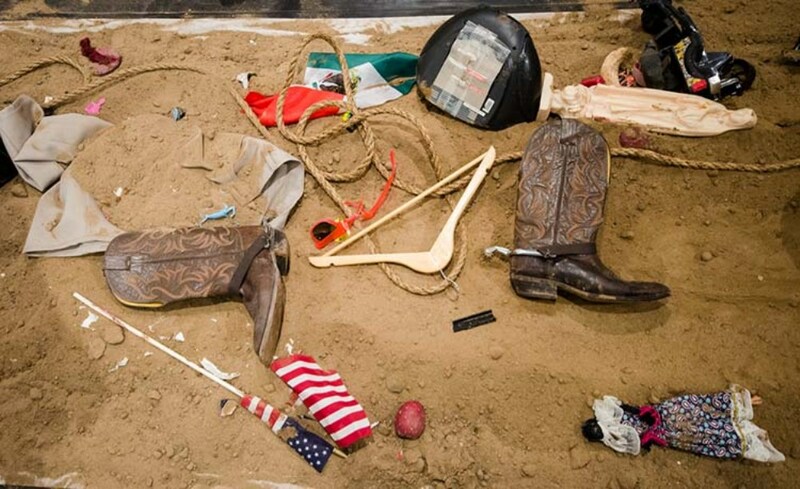 In conjunction with the exhibition Monarchs: Brown and Native Contemporary Artists in the Path of the Butterfly (on view at Southwest School of Art and Blue Star Contemporary until January 6, 2019), BROWN ARTIST RETREAT: SAN ANTONIO is a one-day workshop. Aiming to highlight the voices of San Antonio and South Texas-based artists, this workshop features a series of conversations that unpack the words “BROWN,” “ARTIST,” and “RETREAT.” Developed and led by Monarchs curator Risa Puleo and exhibiting artist Rafa Esparza, this event will repeat in different cities in preparation for a possible future national convening. Southwest School of Art will display senior student Mindy Tillman's thesis exhibition from Dec 11-Dec 22 in the lobby of the Santikos Building. Tillman will deliver a short public talk on Dec 13 in the Russell Hill Rogers Lecture Hall at 3:30 pm. Both the exhibition and the talk are free and open to the public. Join artist Mark Menjivar for a participatory walk that will activate his project Stations while exploring current historical events around migration. Stations was made in collaboration with the community of Santa Marta, El Salvador and is part of the current exhibition Monarchs: Brown and Native Contemporary Artists in the Path of the Butterfly on view at Blue Star Contemporary and Southwest School of Art through January 6. Departing from BSC, participants will walk approximately 2 miles to the Southwest School of Art, stopping along the way for various activities. Once the Art Walk is complete, participants can catch the VIA cultural route back to BSC, unless they have planned otherwise. The Guerrilla Girls are feminist activist artists. A founding member of the organization visits San Antonio for a lecture on November 15 at the McNay and workshop on November 16 at Southwest School of Art. The Guerrilla Girls undermine the idea of a mainstream narrative by revealing the understory, the subtext, the overlooked, and the downright unfair. Wearing gorilla masks in public, they use facts, humor, and outrageous visuals to expose gender and ethnic bias as well as corruption in politics, art, film, and pop culture. 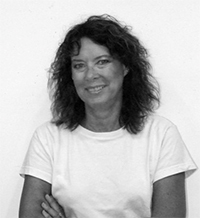 UCLA in 2007 and attended the Skowhegan School of Painting and Sculpture in 2009. This lecture is a collaboration of the McNay and Southwest School of Art and is a program of the Louis A. and Frances B. Wagner Lecture Series. Established in 2010, this symposium features noted fiber artists exemplary in their field in lectures, exhibitions or workshops. Named in honor of Debbie McMahon who was an accomplished and devoted fiber artist, Debbie was also a student and Trustee at Southwest School of Art. Her husband created an endowment in Debbie’s memory to facilitate this annual conversation on contemporary fiber arts. 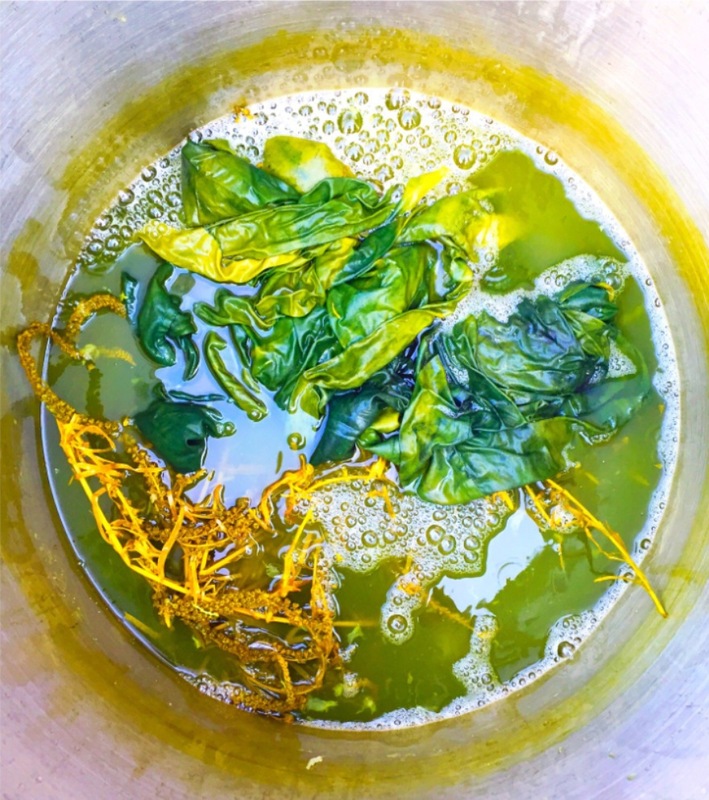 This year’s symposium, on Sunday, November 11, focuses on artists working with natural dyes in their creative process with lectures by three fiber artists, Texas artists Analise Minjarez and Sarita Westrup will discuss their collaborative work under the name of Tierra Firma, along with keynote speaker Sasha Duerr from Oakland, CA. In addition, Duerr will conduct a workshop on the use of plant-based, natural dying November 9–10. As part of Monarchs: Brown and Native Contemporary Artists in the Path of the Butterfly exhibition. Carmen Argote is a Los Angeles-based artist whose work focuses on the exploration of personal history through architecture and the spaces she inhabits. Argote received her MFA from UCLA in 2007 and attended the Skowhegan School of Painting and Sculpture in 2009. Argote exhibited at Los Angeles County Museum of Art (2017); Denver Art Museum (2017); Orange County Museum of Art, Newport Beach, California (2017); Ballroom Marfa, Texas (2017); National Museum of Mexican Art, Chicago (2015); MAK Center, Los Angeles (2015); and Vincent Price Art Museum, Los Angeles (2013). Argote has shown at artist-run galleries and experimental spaces such as Panel LA (2017), Adjunct Positions (2015), and Human Resources (2014).She was an Artist Lab Resident at 18th Street Art Center and is included in the 2018 Made in LA exhibition at the Hammer Museum. Argote’s current show The artist, having used all her money to make her work, lives in the mothermold of her sculpture opened at Commonwealth and Council this July, and will be followed by a show at Instituto de Vision, Bogota in the fall. 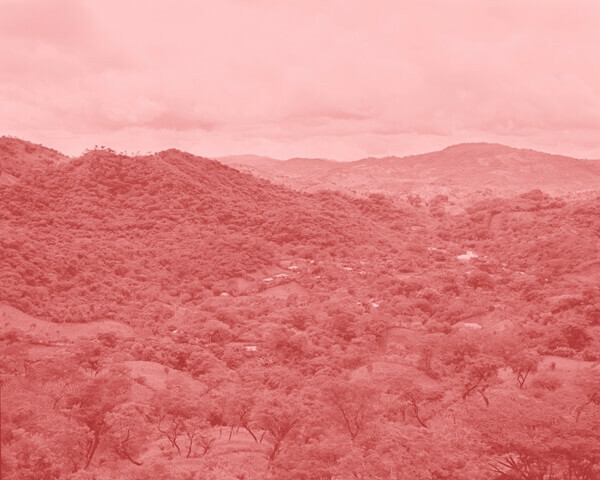 Carmen Argote, My father’s side of Home, 2014, dimensions variable. Image credit Colin Conces. 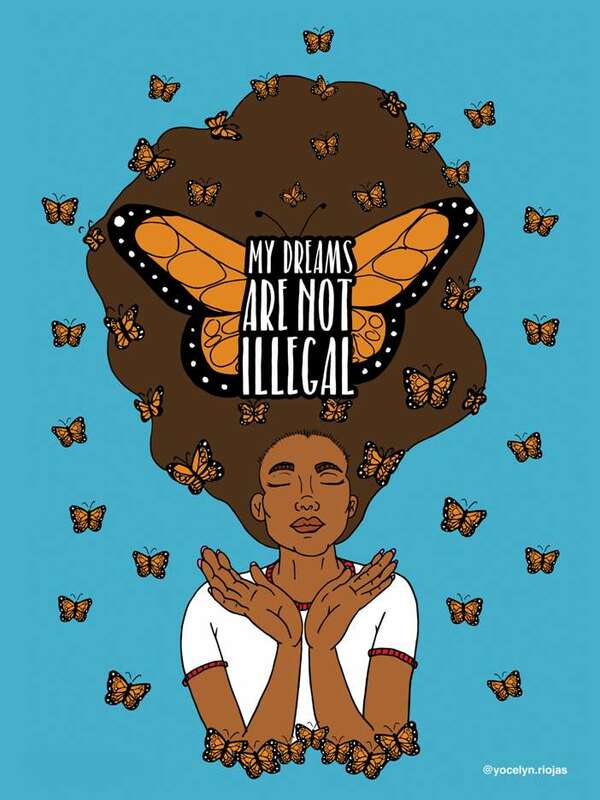 Yocelyn Riojas is a Latinx designer, illustrator, and resistance artist best known for “My Dreams Are Not Illegal” protest art. Her illustrations create a voice for the Mexican American community reflect­ing on women empowerment, immigration, and cultural identity. Located in Texas she has been gaining momentum amplifying political messages in support of people of color through art. As part of the For Freedoms initiative, Yocelyn will present her graphic design work and how it is used to inspire and prompt a new generation of activists in Texas. Riojas’ A Guide for Creative Acts of Resistance is a toolkit that was designed to help encourage activists collaborate as a team to develop a proposal for a call to action. Image: Illustration from Guide for Creative Acts of Resistance. Courtesy the artist. 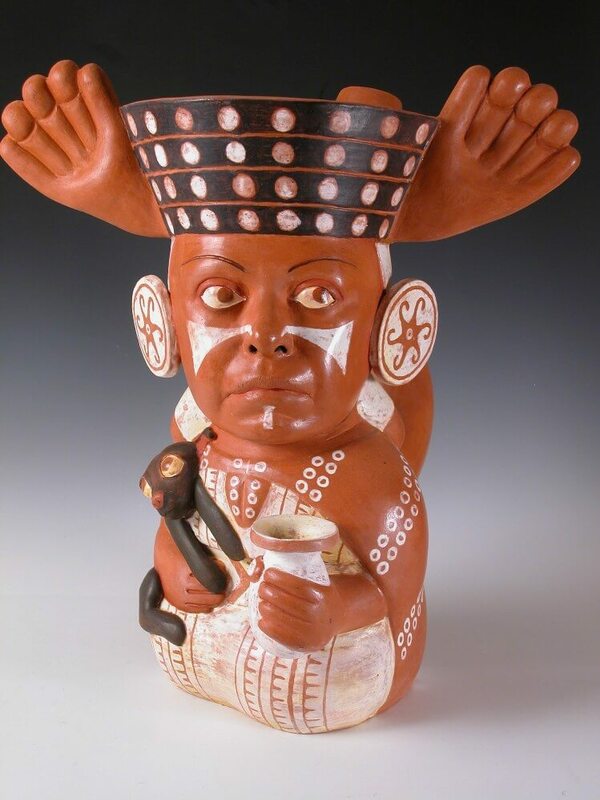 Kukuli Velarde borrows from pre-Columbian ceramic traditions to create fantastical clay figures that confront contemporary topics such as gender and identity issues and socio-political concerns. She left her native Peru at age 22 and received a Master of Arts from Hunter College in New York in 1987. She currently lives and works in Philadelphia, PA. 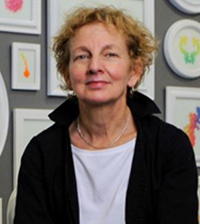 Her work is included in the collections of the Houston Museum of Fine Arts, TX; the Racine Art Museum, WI; the Fuller Craft Museum, MA; and the John Michael Kohler Arts Center, WI. She is the recipient of a John Simon Guggenheim Fellowship, Pollock Krasner Foundation Grant, USA Knight Fellowship, PEW Fellowship, and Joan Mitchell Foundation Grant. The purpose of the Texas Art Education Association's Visual Art Scholastic Event (VASE) is to recognize exemplary student achievement in visual art through individual and original expression of ideas applying the elements and principles of art based upon research of art media and art history. The Gold Seal medallion is the top state award presented to distinguished works of art chosen by the state jury panel. 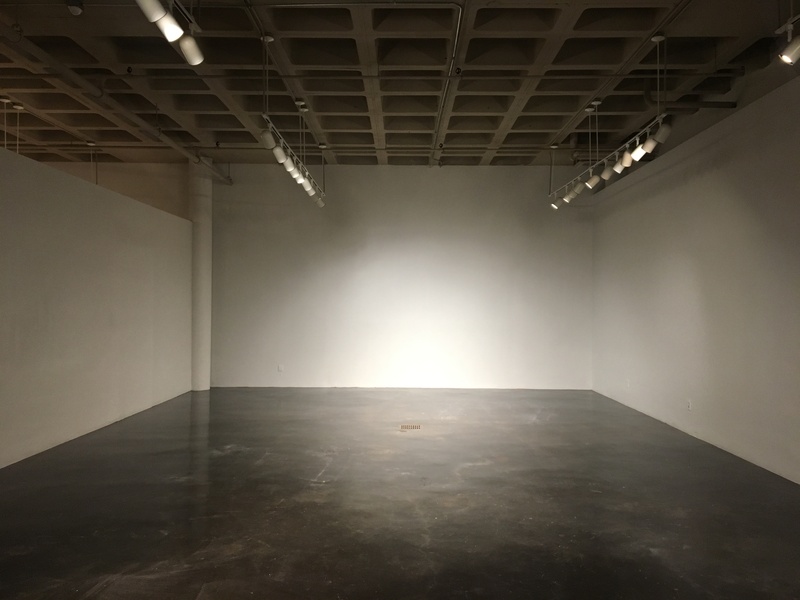 This exhibition is the juried selection of the highest-rated artworks created by high school students in the state of Texas and will travel to the state capital after its time here. BFA Thesis Talks are a series of 15-minute presentations featuring Southwest School of Art graduating seniors. The BFA candidates will show images and speak about their work and the research that informs that work. Varying media and topics will be discussed. The audience is invited to questions during a brief Q&A after each presentation. Presentation by: Audrey LeGalley, Gaby Borrego, Abe Vasquez, Ali Wiesse, Zach Jones, Ayanna Irek, Lauri Garcia Jones, Hailey Kuhn, Nicki Lucio, Juan Zavala Castro and Ethan Gonzalez. 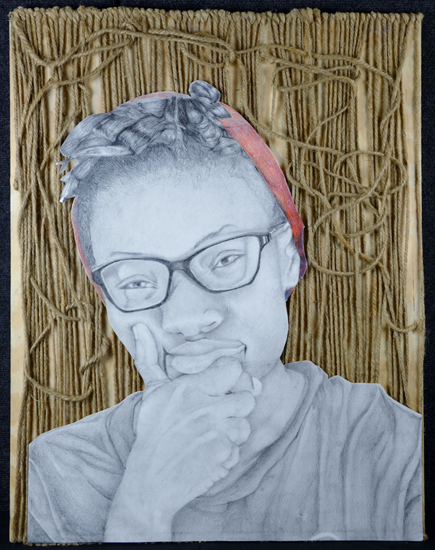 Southwest School of Art is excited to show selected work from the Teen Studio Intensive. A high school level after school program that investigates the meaning and methods of art making. 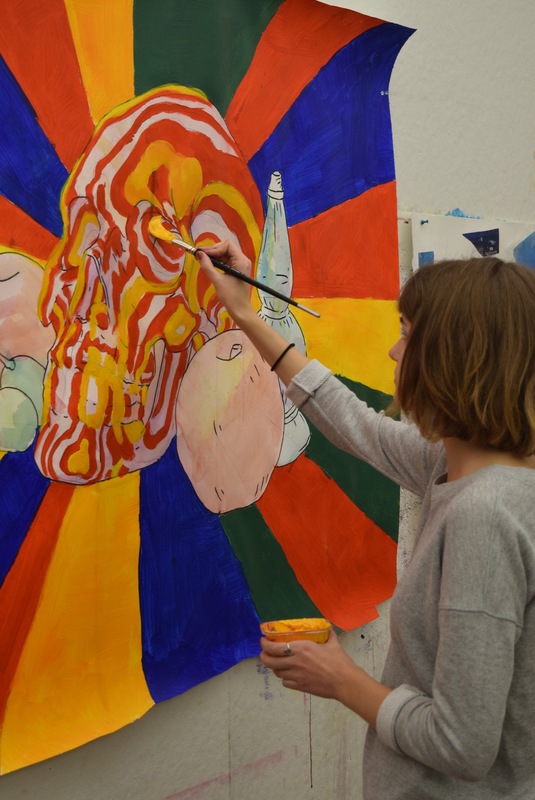 These artistically motivated youth have created ambitious personal works to be exhibited at Southwest School of Art’s John L. Santikos Building. Consisting of traditional painting techniques and multi- media artworks, this exhibit illustrates the range of thought and interests shared among this group of artists. Please join us to support and enjoy these exceptional pieces. Two Projects will be showcased in this intimate exhibit; Reverse painting on glass, and sketchbook exploration Project. In the former we use the traditional practice of painting in inverted layers on glass to create vibrant dimensional portrait paintings of the TSI members. In the second project, we enlarged the sketches we have had in our sketchbooks, in order to make ambitious multi media works based on our personal imagery. By using previously small “casual” drawings, we are able to retain the spontaneity and intensity of our private work while investigating issues of scale and experimental materials. Informative panel discussion with several working artists who shared insights about their varied paths to successful careers in the visual arts. 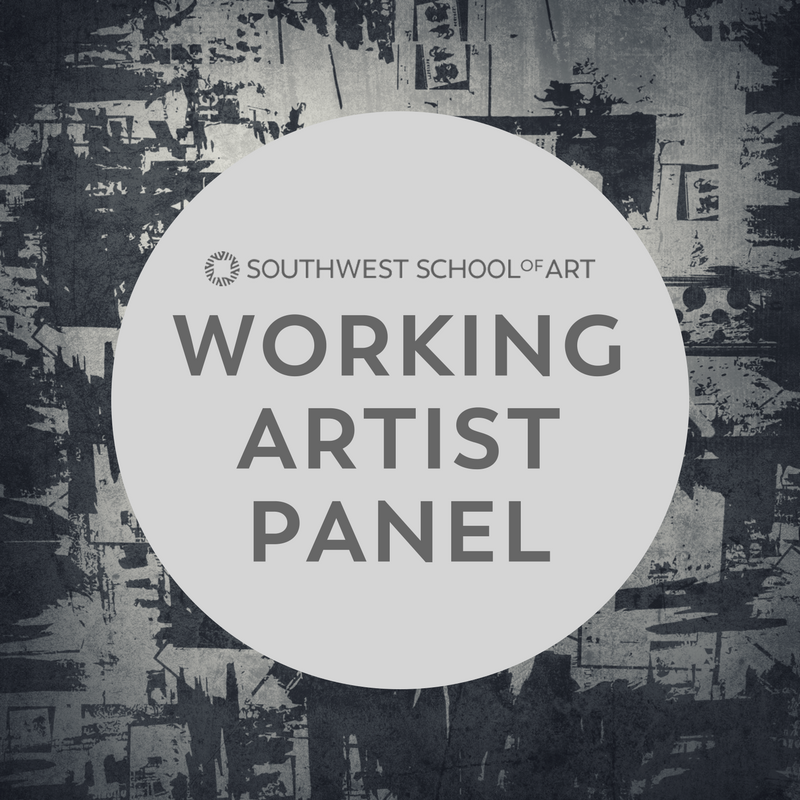 The 2018 artist panel included Katie Pell, Celia Mendoza, Kelly O’Connor, and Joe Harjo and the discussion will be facilitated by Paula Owen, President of Southwest School of Art. The discussion shared how artists chose their career path, what types of challenges they’ve overcome along the way and what has helped them to become successful artists! Common Currents panel discussion with Historians: Kirsten Gardner, John Phillip Santos, Frank de la Teja, and moderated by Chad Dawkins. The panel discussed San Antonio's history and how it is represented in conjunction with Commom Currents. Common Currents was designed to illuminate 300 years of San Antonio history. 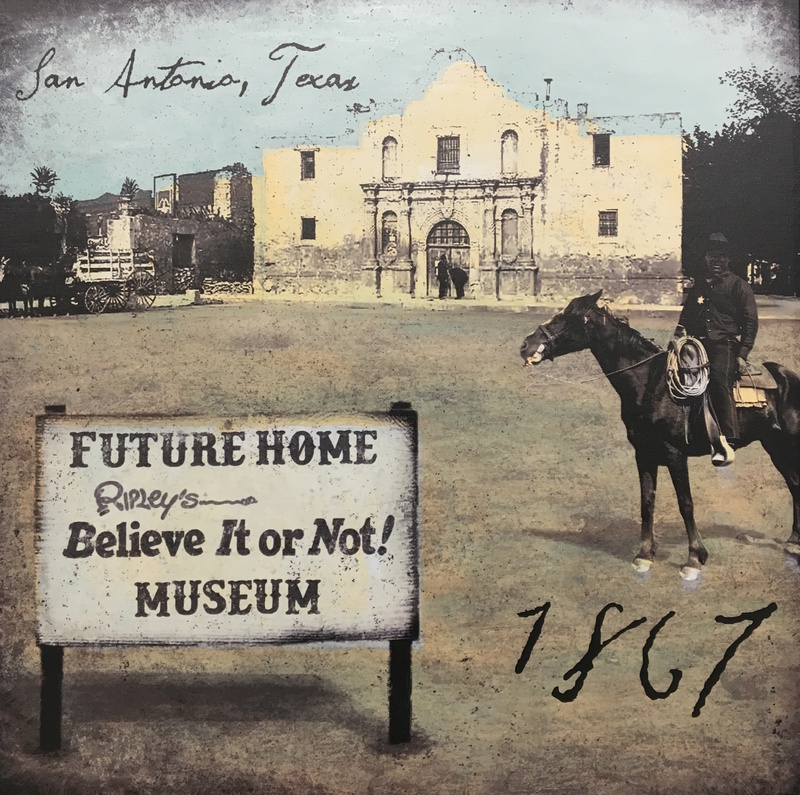 In celebration of San Antonio’s seminal Tricentennial year, six downtown artist-centric organizations: Artpace San Antonio, Blue Star Contemporary, Carver Community Cultural Center, The Guadalupe Cultural Arts Center, Mexican Cultural Institute San Antonio, and Southwest School of Art, will partner to present an exhibition that will illuminate the 300 years of their hometown’s history. Image: Gary Sweeney, Coming Soon!, 2018. Inkjet Print, 24 x24 in. Born in 1986 in Graham, TX, Anthony Sonnenberg earned a BA with an emphasis in Italian and Art History in 2009 and an MFA in Sculpture from the University of Washington, Seattle in 2012. Residencies include: Yaddo, Saratoga Springs, NY (2017); the Houston Center for Contemporary Craft, Houston, TX (2016); the Lawndale Artists Studio Program, Houston, TX (2015-16); Sculpture Space, Utica NY (2014); the Archie Bray Foundation for the Ceramic Arts, Helena MT (2014); Pilchuck Glass School, Stanwood WA (2012); and the Ox-Bow School, Saugatuck MI (2017/2008). Recent exhibitions include; The Craft and Folk Art Museum, Los Angeles CA, Asya Geisberg Gallery, New York, NY (2017); Art Palace Gallery (2016); Lawndale Art Center, Houston TX (2015), Shelburne Museum, Shelburne, VT (2014); The Old Jail Art Center, Albany TX (2013); the Texas Biennial (2011 & 2013); Old Post Office Museum and Art Center, Graham TX (2012); Co-lab Projects, Austin, TX (2012) and the Seattle Art Museum, Seattle WA (2011). Hiromi Tsuji Stringer's was born in Kyoto, Japan. She received her Bachelor of Science degree from Tottori University, Japan. Following graduation, she worked as studio assistant for sculptor/ceramics artist, Katsushi Takeda, in Shiga, Japan. In the United States, she studied Fine Arts and Art History at the University of Texas at San Antonio on multiple merit-based scholarships and received her MFA at UTSA. Her works, ceramics, sculptures and drawings, have been selected for several shows in Japan and in the US. 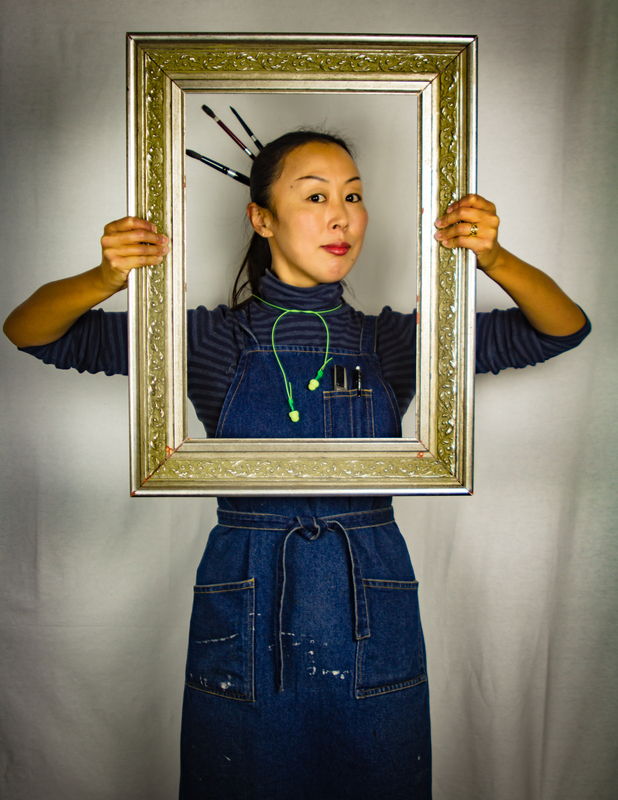 In her most recent work she references cultural clashes and explores what it means to be Japanese-American in San Antonio. Her work reflect her concerns with language, (mis)communication, and alternative points of view. Stringer's Umeyama Time Teleportation Museum project seeks to re-see and find alternative meanings for quotidian objects in her personal environment by creating an alternative point of view. 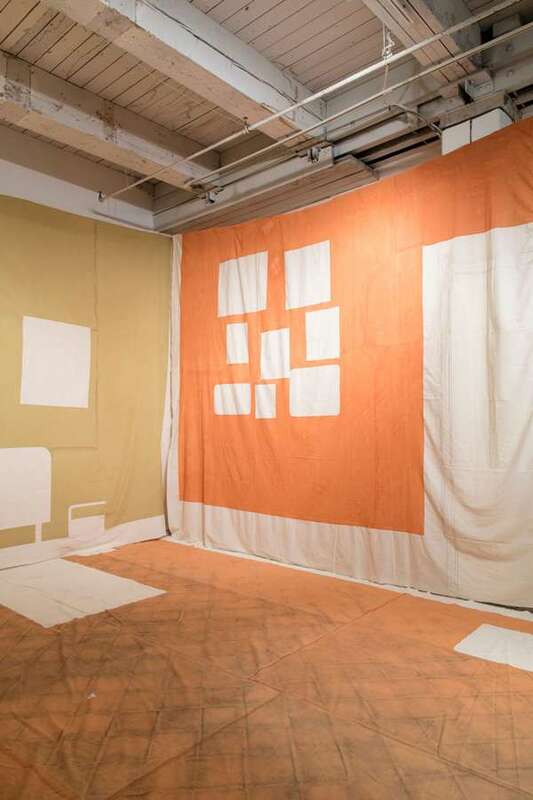 Mario Ybarra Jr. has shown solo exhibitions of his work, presented at the Boone Family Art Gallery at the Center for Arts, Pasadena City College, Pasadena, CA (2015); Fabric Workshop and Museum, Philadelphia, PA (2013); Honor Fraser Gallery, Los Angeles (2013); Cardi Black Box, Milan, Italy (2011); Artpace, San Antonio (2009); and the Art Institute of Chicago (2008). 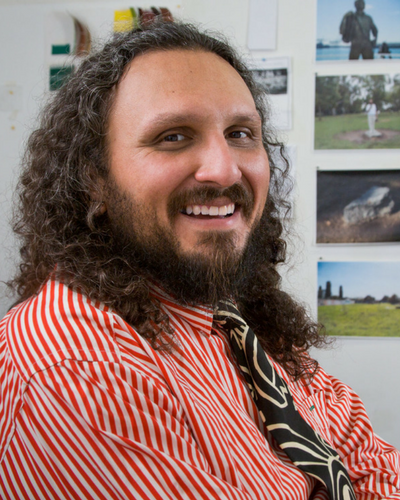 His work has been included in Global Positioning Systems, Perez Art Musem Miami, FL (2015); Made in LA., the Hammer Museum in collaboration with LAXART (2012); Invisible Cities at the Instituto Cervantes, Madrid, Spain (2010); Whitney Biennial, New York (2008); and Phantom Sightings: Art After the Chicano Movement at LACMA, Los Angeles (2008) among many others. 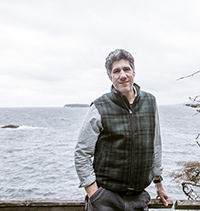 Paul Sacaridiz is the Executive Director of Haystack Mountain School of Crafts on Deer Isle, Maine. 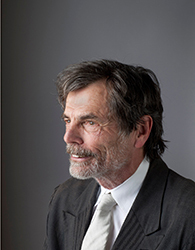 During his lecture, the artist will speak about his own artistic practice, as well as the “artist-run” organizational model, with a focus on Haystack Mountain School of Crafts. As a sculptor, Paul Sacaridiz is interested in the collision of abstraction, urban planning and utopian systems; and the seemingly impossible task of understanding something in its entirety. Over the past number of years he has produced multiple large-scale projects, designed for specific institutions such as the Philadelphia Museum of Art, the Denver Art Museum and the Houston Center for Contemporary Craft among others. Zoe Buckman is a multi-disciplinary artist working in sculpture, installation, and photography, exploring themes of Feminism, mortality, and equality. 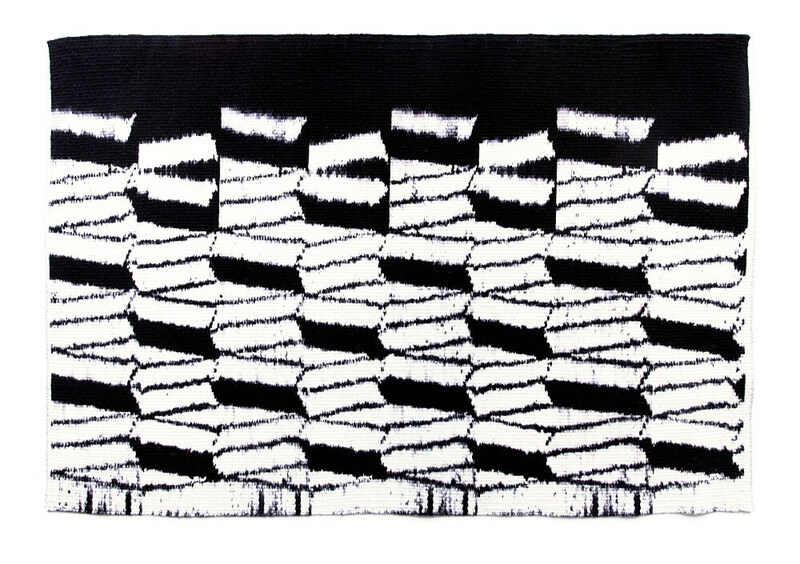 Buckman’s work has been shown in solo exhibitions including Imprison Her Soft Hand at Project for Empty Space, Newark, Every Curve at PAPILLION ART, Los Angeles and Present Life at Garis & Hahn Gallery, New York. Buckman studied at the International Center of Photography (ICP) and lives and works in New York. Sculptor Joan Hall's large-scale installations have been shown in one-person exhibitions at the Blue Star Contemporary Art Center in San Antonio and the Silkeborg Art Center in Silkeborg Bad, Denmark. She has created large-scale public works in paper and steel for the Goldberg School of Nursing at Washington University and in contemporary glass for the Lambert Airport in St. Louis (in production). 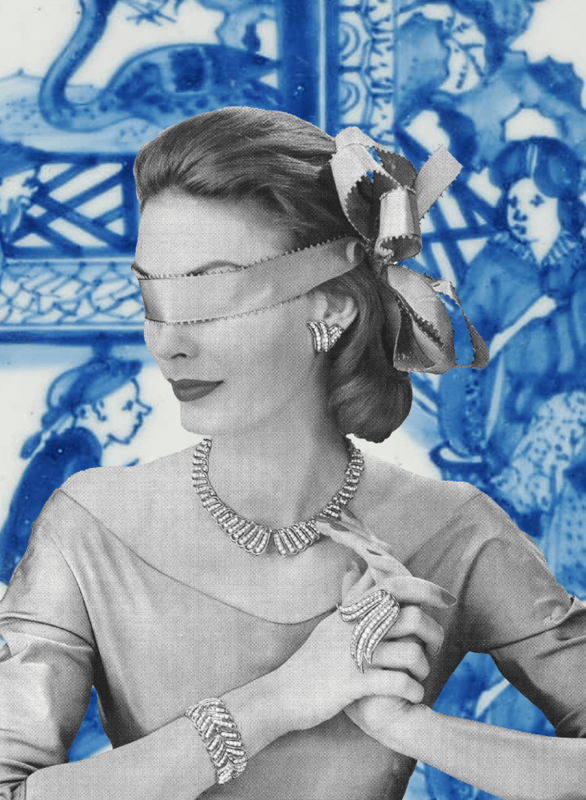 Her work has also been shown in Currents 79 at the Saint Louis Art Museum, at The Rijswijk, Appledoorn, and Aemstelle Museums (Holland); The Hillwood Museum (New York); The 26th Print International at the Brooklyn Museum of Art (New York); Paper Re-Visioned at the Silkeborg Art Center (Denmark); the Budapest Museum of Art (Hungary); the Leopold-Hoesch Museum (Germany); and the Nordjylands Museum (Denmark). Michelle Samour is a multi-media artist whose installations, drawings and handmade paperworks explore the intersections between science, technology and the natural world. Samour has been an artist-in-residence at the Banff Centre in Canada and at P.R.I.N.T Press in Denton, TX. Samour’s exhibitions include the deCordova Sculpture Park and Museum in Lincoln, MA; the Museum of Modern Art in Strasbourg, FR; the Kohler Art Center in Sheboygan, WI; the Houston Center for Contemporary Craft in Houston, TX; the Racine Art Museum, WI; and the Fitchburg Art Museum, MA. Samour has received grants from the Massachusetts Cultural Council (most recently as a 2014 Fellow in Drawing), a Society of Arts and Crafts New England Artist Award, and grants from the Cushman Family Fund and the Andrew W. Mellon Foundation to study historic papermaking in France and Japan. Renowned artist Richard Tuttle’s work since the 1960s has revolutionized the landscape of contemporary art, challenging rules and notions of genre and media. Working with humble materials, Tuttle engages formal principles in his work, highlighting line, scale, and space as central concerns. His work exceeds any rational determinations, sensitizing viewers to perception and the unconscious. He has been the subject of more than two-hundred solo exhibitions during his career, including his first museum exhibition at the Whitney Museum of American Art, New York, curated by Marcia Tucker (1975), and his travelling retrospective organized by the San Francisco Museum of Modern Art (2005). His work is held in more than fifty public collections worldwide and has been included in numerous important group shows including Documenta (1972, 1977, 1982) and the Venice Biennale (1976, 1997, 2001).